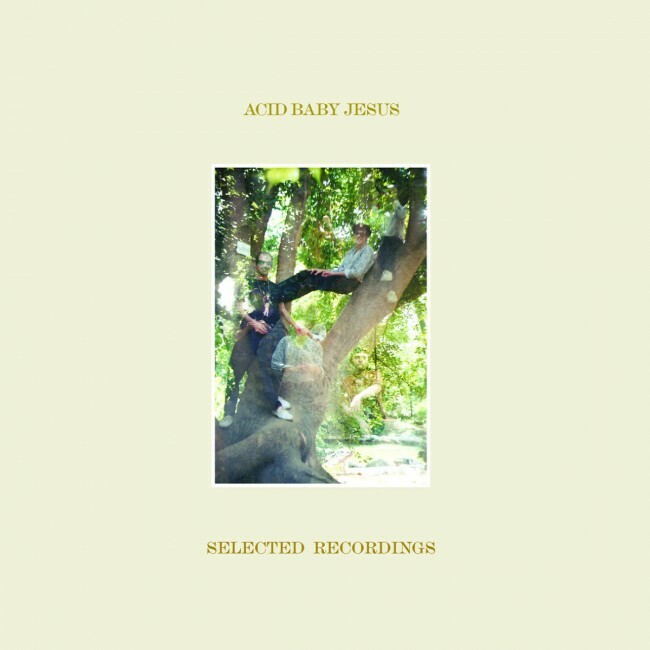 Representing the primitivism of Athens, Greece, steadily fornicating with the modern humps of the most ancient civilizations hitherto, Acid Baby Jesus has finally assembled a collection of recordings from their past two years on the rotation. The experiments on “Selected Recordings” were formulated while spending many of those moments on a secluded island in the Mediterranean sea, populated by a(n) (r)evolutionary cast of travelers, all starving for an heady atmosphere and a good salad. Many records were played on record players at these assemblages. And many songs were written, and fine tuned, and recorded. Chrissy "Zebby" Tembo, Zambia’s filthiest lord of feedback & fuzz and king of their Zamrock movement, is the one artist who made it to cover status with his song “Trouble Maker,” summing up what ABJ has been reaching for. It's never been timelier. Or has it? Every other track is an original - rubbery, and stretching out further than on previous releases. Such is the result from not setting out to record an album while you’re hanging out in Heaven. Guitar lines may or may not be backwards. Conventional in their basic rock’n’roll foundation, these tracks are steeped in layers of organ, Jew's harp, bongos, gongs and a nice assortment of other instruments of the onomatopoeic persuasion. The single “Vegetable” is a heavily percussive fuzz beater, pushing its way out of a lake of slithering psychedelic clangor, barely escaping. “Selected Recordings” compiles primal Anatolian dance rhythms not far off from the jungliest bounce of Bo Diddley, and produced like a quadraphonic Les Paul album played on an improperly calibrated turntable. Avoiding the echo box and lava lamp cliches of the brand of "psych" that is omnipresent on the scene today, it is safe to say that true psychedelia abounds here. Thank you, and greetings from the beautiful gardens.